Not bad with the fabric choice if I do say so myself! The neckband is having some fusible interfacing issues. I'm gonna wash it and hope those issues are resolved otherwise I'll just have to go back in and rip out the interfacing which is gonna be a pain in the neck. No pun intended. 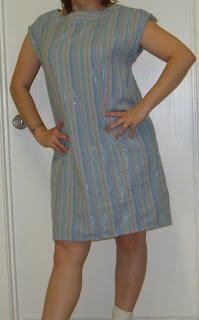 It's got four great lookin' pleats in the back and I simply did away with the side cut out thing. It was super easy. I used the same pattern as the previous two posts (you know the one I made incorrectly). This one was really easy too. 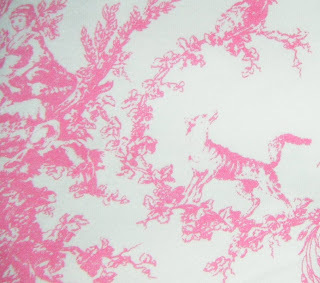 That's all the sewing news that's fit to print! I love it! 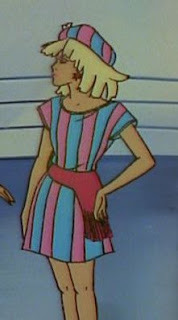 That is one of the Jem dresses on my to do list as well! 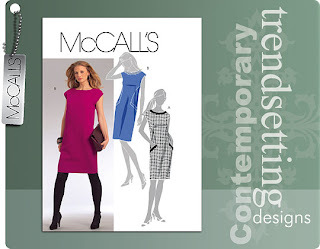 I'm telling you get that pattern McCall's 5701. It looks exactly like hers!